"A comedy of the heart and other organs." The Road to Wellville is a 1994 comedy-drama. It is a historical social commentary, observing the practices within a health sanitarium during the industrial boom of the early 20th century. 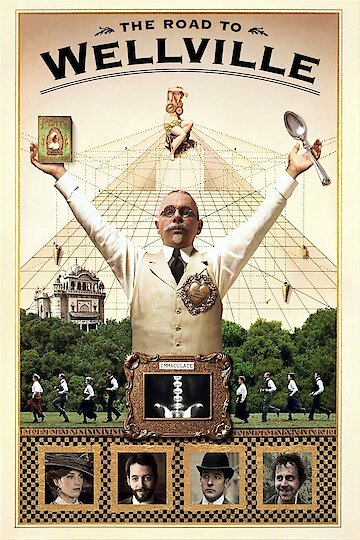 The film details the practices of John Harvey Kellogg, a quack doctor who advocated vegetarianism, sexual abstinence, enemas, and intense discouragement of all excesses. He was also the founder of the cereal company, but touted his original corn flakes as a cure all for many supposed human ills. Various characters come to stay at his health sanitarium and participate in the increasingly bizarre exercises and practices he forces them to engage in.